Security on the go for the busy cyclist. Popping down to the shops for five minutes or just having a quick cuppa in the cafe? Want to be sure your bike is still there when you get back? If so, then these locks are just what you are looking for…or are they? 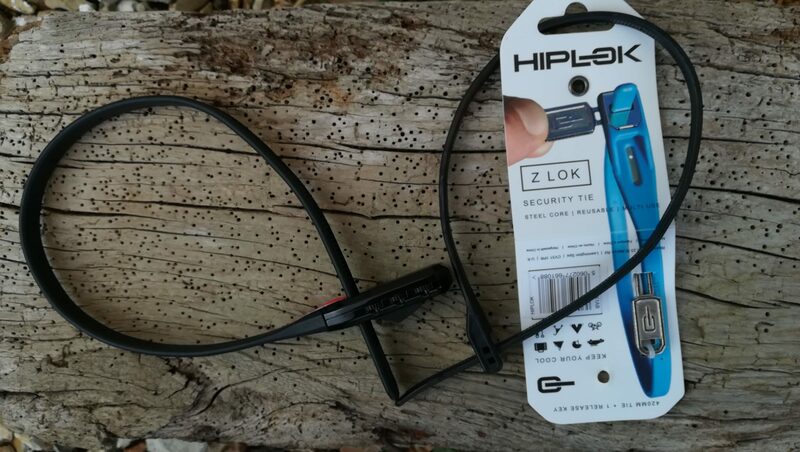 The Z Lok combo provides the most security with a three digit combination lock and a steel core. Think of it as a reinforced, reusable, zip tie. At £19.99 it isn’t cheap but it is quick, convenient and may well act as a useful deterrent. Reality check – given that bike thieves seem to go armed with bolt cutters nowadays, this is going to keep them occupied for maybe two or three seconds. The loop itself is lamentably short so you aren’t going to be hooking it up to the nearest lamp post unless you daisy chain it. By all means use one if you want but…. Last time I had a bike stolen, the insurance company refused to pay up because the bike was not locked to a “secure and immovable object”. It had a lock, but the swine simply picked the bike up and walked off with it. Net result, I was the only one to lose on the deal. 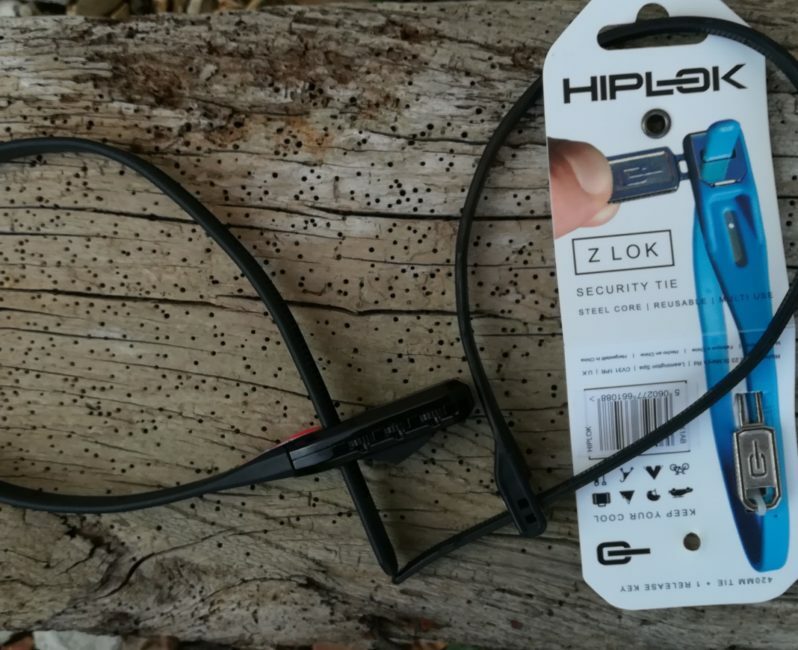 At £9.99 this is the cheaper option from Hiplok. This time, there is no combination lock, instead there is a funny looking key. Basically it is a piece of shaped wire that forces two mini baffles aside, thus releasing the zip tie. I would have problems breaking into anything without the real key, but I got into this one within 10 seconds, using nothing but a paperclip. To be fair to Hiplok, they categorise both of these locks as ideal for low risk situations. When does a low risk situation turn into a high risk situation however? Probably when an opportunist thief wanders along. Personally, I’d prefer something a lot more robust or, at a shove, longer! If your bike is going to be stolen, at least make sure you have complied with your insurance T&C’s so you get a new bike out of it. I love the idea but I think they need to go back to the drawing board with this one. Security aside…where do you carry them? They won’t really fit in a jersey pocket and I’m not going to thread it through the rails on my saddle. If you are in bike packing mode, you may have a bag to stash it in. Personally, I’d avoid either of these locks if you are in any danger of your bike being pinched. There are better options out there. Avoid. At least until they come up with something better.